Lincoln has been waiting for the Kendals for a long time and last night the Lansing theatre was crowded to its utmost capacity when the curtain rose up up "The Ironmaster." It is entirely too late in the day and too far west to say anything concerning the Kendals which will either enlighten or startle the world. Mrs. Kendal as Claire de Beaupre was of course the chief attraction of the evening. Mrs. Kendal possesses the one thing which counts for more than beauty, a remarkable stage presence. Her rendering of emotional roles is like that of no other living actress. She touches an altogether different and very much higher set of feelings than do Fanny Davenport , Clara Morris or Bernhardt . The sympathy which she arouses is less artificial and hectic, if not so violent. She has none of their jarring exaggerations; her vehemence is all softened by grace; her realism is of the sort that prefers to see beautiful truths, and it is decidedly restful after so many actresses who find their highest pleasure in seeking out whatsoever is awful. Mrs. Kendal's pathos awakens sadness, pity, even tenderness, but never horror. In everything she has the delicacy of an artist and of a woman. 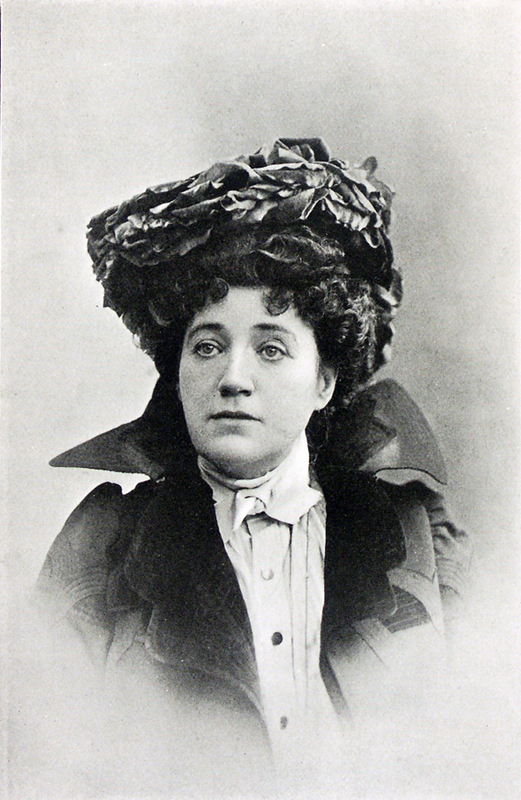 She combines the gentleness and sweetness which make Modjeska universally beloved, and the power and passion which make Clara Morris fearfully and horridly great. It is strange how fond modern playwrights are of filling their plays full of agony. In these days the actress who can suffer most rapidly, easily and effectively is the greatest actress. Mrs. Kendal may certainly be called the mistress of the art of tears. Her weeping is genuine and she is not afraid to let her eyes and nose get red in the process. Her sobs have the choke of real tears in them and her sighs the heaviness of real sorrow. Mr. Kendal's finest work was in the last act of the play. In the first act he was very little more than the conventional hopeless lover of the stage. His artistic repose at times became too great. In the first scene of the last act, however, he more than redeemed himself and captured the public favor, which had begun to go very strongly to the much better half of the Kendal organization. The best thing about Mr. Kendal's work is that it is impossible to tell where the actor leaves off and the gentleman begins. Perhaps the crowning distinction of a great actor is that he can be a gentleman. The work of the company was excellent, although they were so intensely English that it was sometimes difficult either to understand them or to take them very seriously, owing to which facts the first half of the first act dragged. As someone has remarked somewhere, it would be comfort if the English people could only speak the English language. English dialect by American comedians is all very pleasant, but English dialect by Englishmen is hard to bear and the worst of it is it is given in all seriousness and one hasn't even the satisfaction of being allowed to laugh at it. 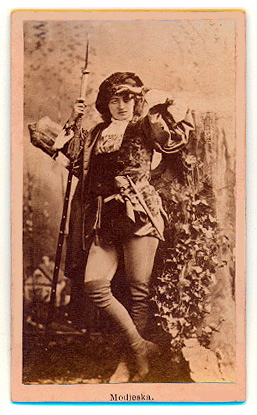 Miss Adrienne Dairolles as Athenaiss was particularly successful, and made a villianess whom one could sincerely and cordially detest, which was a rather new feature in acting, as the villian is generally the only character in the play which one can either like or admire. The audience showed the usual bad taste in the matter of applause. The few cheap and gaudy sentiments that were expressed in the play were applauded loudly and the most touching incidents were received with amiable and appreciative laughter. Some measures should be taken to secure a reliable coach for Lincoln audiences. Of course the modern play must begin with marriage. The Second Mrs. Tanqueray, with which Mr. and Mrs. Kendal have been astonishing and shocking the east, begins with marriage and ends with misery. The "Ironmaster," which is a little less morbid— and a little less modern—begins with married misery and ends with an embrace. That a wife who has married a man from the mere motive of revenge on another, can come to love him, is perhaps quite possible, but it is much to be doubted whether the ideal husband would—except in a play or a novel—regard her affection with such sternly unbending justice. Only a prig can be uniformly consistent and unpityingly just, and Philippe , while very fine and manly, has about him some slight suggestion of just such priggishness. The denouement is a little lacking in dramatic dignity. After Claire falls wounded and is carried in her husband's arms to the foot of a convenient tree, we expect her to die; we have our tears all ready, and on the whole, while we may be amiably glad that she has only a tiny wound in her left arm, we are just a little disappointed. It is very pleasant to hear a story "end well," and it is of course a good thing to let happiness get pretty well to the end of the string before pulling it back. But it seems as if, in this case, it had been allowed to get a little too far around the corner. The play is not one of event, but of emotion. No remarkable things are done and there are few moral maxims to call down the "amen" from the gallery. It is not a great play; it is, in fact, little better or worse than the popular novel from which it is taken. Necessarily its making or marring lies largely in the hands of the actors. It made a few people cry, and parts of it made most people a little uncomfortable. In fact, some parts are so good that it is a pity the whole is not better. Frank Jones and an evenly balanced company presented "Our Country Cousin" to a rather small but appreciative audience at the Funke last evening. Mr. Jones as Jason Wheatley, the country cousin, did very acceptable work and in the second act gave a few imitations on a cornet which were loudly applauded. Miss Lillian Walton as Dorothy Churchill made a most amiable heroine. Frank Young interspersed numerous dances in the course of the evening and did his share of the fun making. The scenic effects were very good. In the "Spider and Fly" at the Lansing theatre tomorrow night each grand scenic effect is immediately followed by some new and artistic specialty, then comes a song, which is succeeded by a superb ballet, the whole interspersed with comedy and aided by magnificent surroundings, and one thing following another so fast during the evening that the eye is fairly dazzled. Kendals: Madge (née Margaret Robertson) Kendal (1849-1935) was born in an established English theatrical family (her brother Tom Robertson was a well known playwright), and was made a Dame of the British Empire in 1929. Her husband, William Hunter Kendal (1843-1917) was less celebrated than his wife; as a shrewd actor manager, he produced plays to showcase his wife. The Ironmaster: The play by was based on the popular French novel, Le maitre de forges by Georges Ohnet (1848-1918); it was translated as The Ironmaster; or Love and Pride by Georgianna Osborne and published in London in 1884. 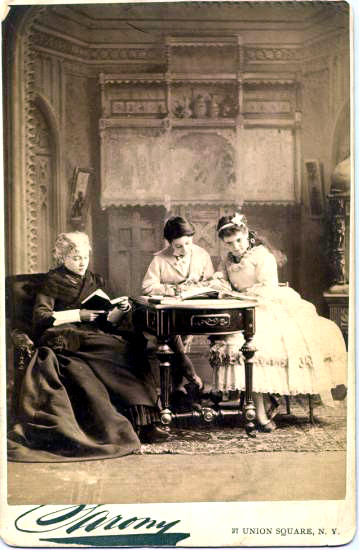 The four-act English play was by Arthur Pinero; it opened in 1884 at London's St. James Theatre, of which the Kendals were actor-managers. Film versions were made of the play in the 1930s. 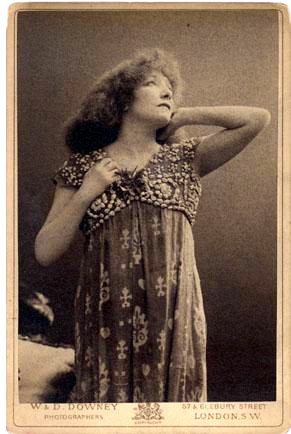 Claire de Beapre: Claire de Beaupré is the heroine of Ohnet's The Ironmaster. 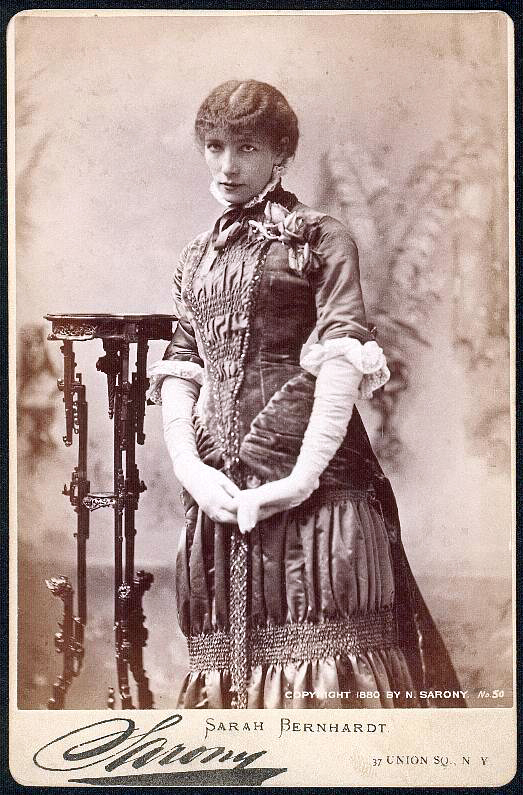 Clara Morris: Born Clara Morrison, Morris (1848-1925) made her New York debut in 1870 and was a great success playing passionate, suffering heroines in roles in such plays as Jezebel, Camille (1874), Miss Multon, a version of East Lynne (1876), Jane Eyre (1877), and The New Magdalen (1882). 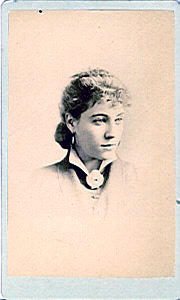 She formed her own company about 1878 and toured the country. She was never famous for her beauty, and her voice was flawed, but the emotional power of her acting overcame these defects. Morris retired in the 1890s as the new kinds of realistic plays of Ibsen and Shaw and Pinero made the older dramas seem old-fashioned and histrionic. In retirement she wrote articles and columns on acting, as well as volumes of reminiscences that show her acting was not so instinctive and unpracticed as Cather supposed. Image available at the New York Public Library Digital Gallery. Image available at the University of Washington Libraries Digital Collections. 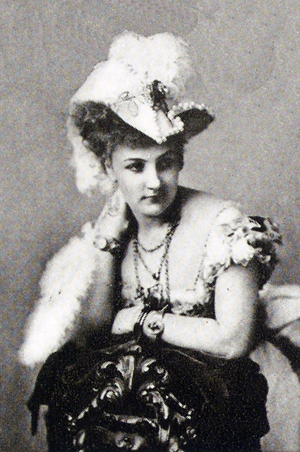 Modjeska: Helena Modjeska (1840 or 1844—sources differ) was born in Cracow, Poland, and went on stage in 1861; the name by which she is best known is a simplified version of her Polish stage name. 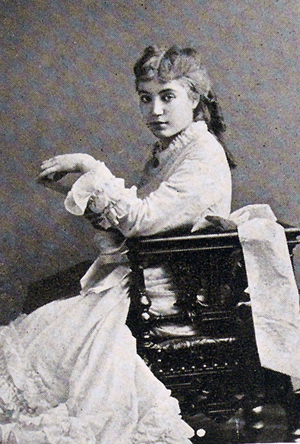 She was acclaimed as the greatest Polish actress, but emigrated to a ranch in Orange County, California, in 1876 with her husband, Karol Chlapowski, a minor Polish nobleman; the titles of Count and Countess appear to have been bestowed on them later. 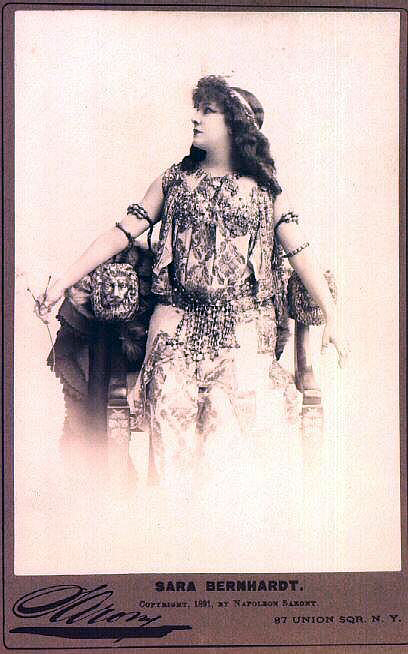 Modjeska learned English quickly enough to make her American stage debut in 1877 and soon became one of the best known and most respected actresses in the country, known for her historical and Shakespearean roles as well as the modern emotional dramas. 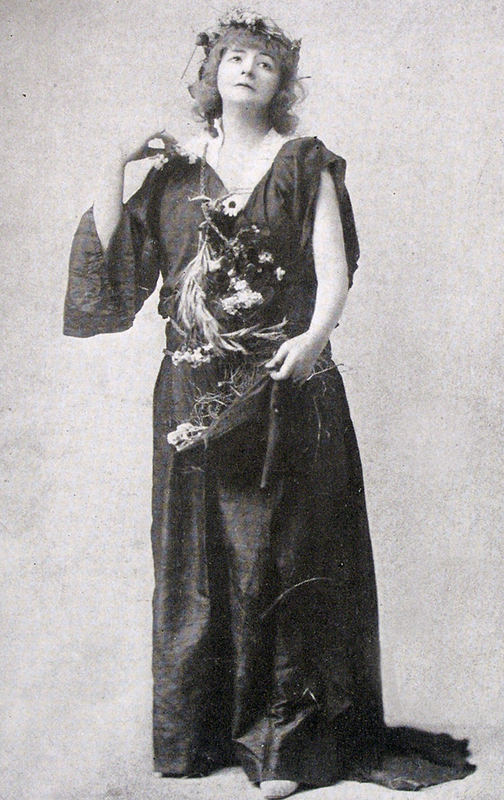 She retired in 1907 and died in 1909. Modjeska appears in Cather's My Mortal Enemy (1926). Image available at the New York Public Library Digital Gallery and the University of Washington Libraries Digital Collections. 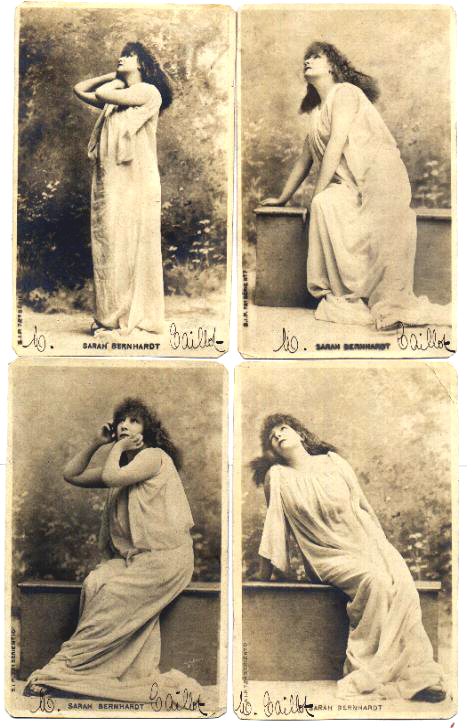 Miss Adrienne Dairolles: A French actress (d. 1940) who played in English; she became the wife of English newspaperman William James Fisher (1859-1924). Athenaiss: The villainous woman in Ohnet's The Ironmaster. The Second Mrs. Tanqueray: Arthur Wing Pinero's 1893 play deals with a man who marries "a woman with a past"; she is not accepted by his innocent young daughter or into his social circle. When it is revealed that the daughter's fiancé is one of Mrs. Tanqueray's former lovers, the daughter condemns her stepmother for the same sin that she condones in her fiancé. Mrs. Tanqueray then kills herself. The play created a sensation and was condemned by many for subject matter unfit for the stage. Mrs. Patrick Campbell created the role. Philippe Derblay: Phillipe Derblay is the hero of Ohnet's The Ironmaster. Frank Jones: Actor Frank Jones had made his name in the 1880s playing the rural character, Si Perkins. He continued to tour with his own company in the 1890s. Our Country Cousin: This was identified as Frank Jones' new play in January 1891. Jones played Jason Wheatley, a rural character who makes his first visit to the city in the second act. 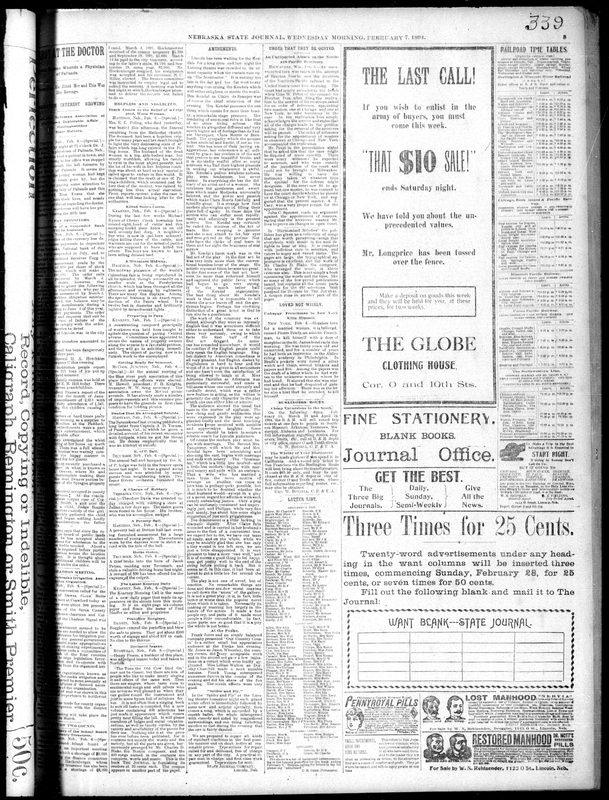 A late 1892, early 1893 clipping from the Lynn, Mass., Daily Bee said, "The railroad scene at the stone quarry is an exciting one, and the mechanical arrangements were all that could be wished." Roscoe "Fatty" Arbuckle starred in a 1914 comedy short of Our Country Cousin. 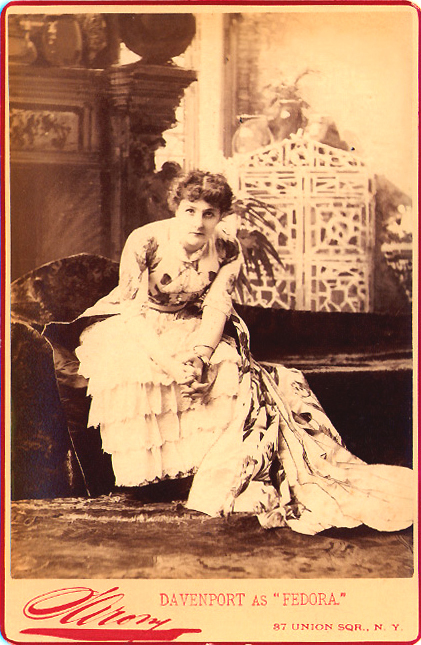 An 1882 play of this same name starring Rosina Voke, and an 1894 play, Our Country Cousins, are unlikely to be the same play. 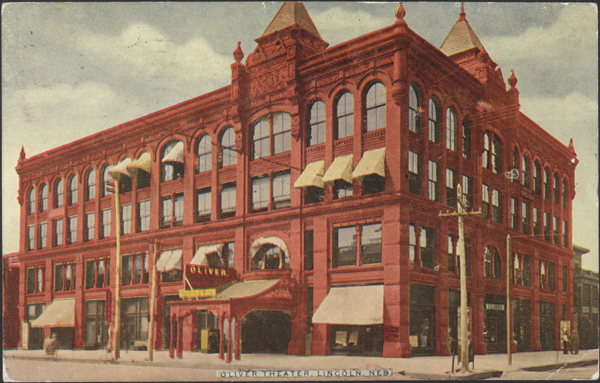 The Funke: The Funke Opera House was built in 1885 by Fred Funke (d. 1890), a Lincoln wholesale cigar, wine, and liquor dealer, on the southwest corner of 12th and O St. Until the Lansing Theatre was built it was the largest and finest theater in town. The first manager was Ed A. Church (d. 1927), followed by Robert McReynolds; Frank Zehrung managed it briefly, from July 1889 to January 1890, when L. M. Crawford took over. 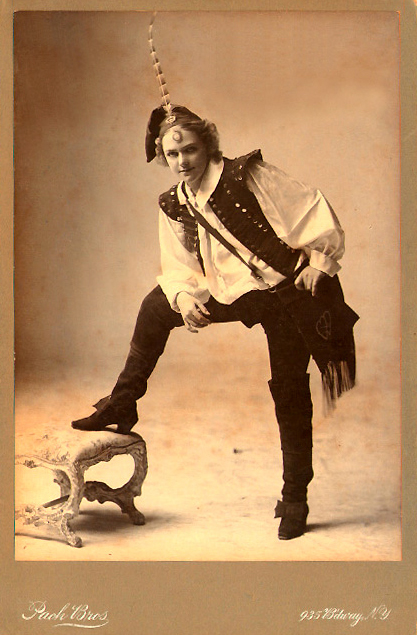 Zehrung resumed management in 1894. The building housed shops on the ground floor and offices in parts of the upper floors, as well as the theater itself. The Funke Opera House, Lincoln, Nebraska, late nineteenth century. 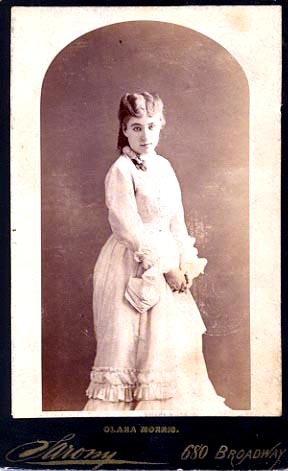 Miss Lillian Walton: Actress Lillian Walton was the leading lady of Frank Jones' company. Her name does not appear in The New York Times drama review index or in Odell's Annals of the New York Stage. Dorothy Churchill: The heroine of Our Country Cousin. The Spider and the Fly: The Spider and the Fly opened at the Windsor Theatre in New York in October 1889. Odell refers to it as "M. B. Leavitt's show" (Annals of the New York Stage, XIV, 583) but it is unclear whether Leavitt was the writer or the producer. The original cast starred comedians James Adams as the Spider and Thomas Dare as the Fly and included Pauline Markham, gymnasts, and other specialty acts. The show played in popular theaters in the New York area for years, changing cast members from time to time, but apparently never played on Broadway and was never reviewed by the New York Times.